Home » News » We Want Your Vote! This contentious election year has caused great divides in this country. Never before have two presidential candidates been so dishonest and divisive. Yet it is because of this reason that this election is only a precedent for 2020: and our choices should be made on such. In the more likely scenario that Hillary Clinton wins, then it is guaranteed that 2020 is a Republican victory, and perhaps even 2024. 16 years of single party rule in the White House is incredibly rare, and with such an unpopular candidate as Clinton, 2020 can only be awarded to a Republican. No doubt, this Republican would be an establishment candidate: the party leadership has learned its lesson from Donald Trump. And with establishment Republicans come backward views: trickle-down economics, dog-whistle bigotry, and increased involvement in places where the United States shouldn’t be. With trickle-down economics, there’s no doubt that an economic recession will be in the works, as the rich get richer, and the gap further widens. 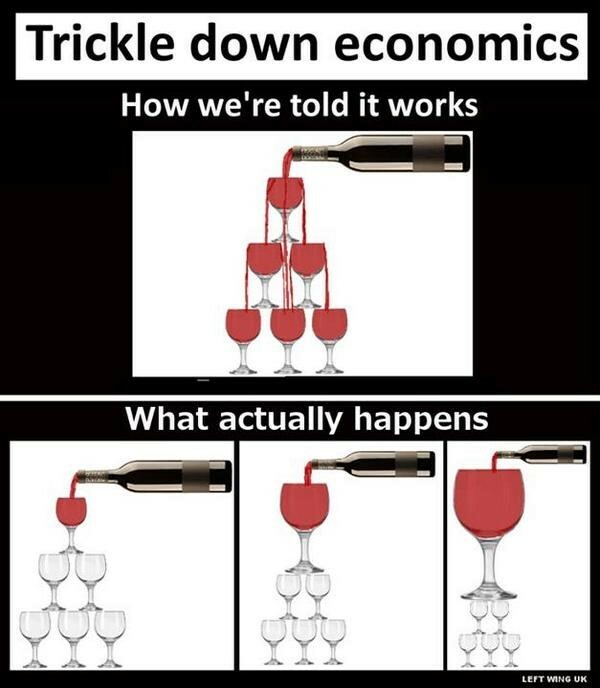 The actual “trickle-down” to lower economic statuses would be so minimal, there would be mass devastation amongst the middle class, with few jobs and crippling national debt. With bigotry, the fringe alt-right would grow stronger and further in number, partially empowered by Donald Trump, and with greater (read: inefficient) military spending, not only will the debt increase, but also leave power vacuums in the Middle East and foster extremism. In the case that Donald Trump wins, he could only last 4 years at best. These 4 years would be riddled with so many problems and ineffective policies that it guarantees a Democratic victory, even if only for 4 years. His plans, if any, would likely be blocked up in Congress, and never deliver on his promises. This potential Democrat would almost have to be a progressive, like Elizabeth Warren or Bernie Sanders. With nearly half of the party upset with the old, Wall-Street friendly views of Hillary Clinton, a progressive candidate is the only way to unite the Democratic party and move forward meaningful change. A progressive Democrat, not Hillary Clinton, would move forward with Wall Street reforms, cut useless military spending, and raise taxes on the wealthy. A progressive Democrat would lessen the national debt, create an innovative environment, and stop companies avoiding taxes. A progressive Democrat would work for all the people, including conservatives minus the alt-right. This is why a vote for Trump is a vote for good change. On undecided voters, I call to vote only for Trump, and not for Clinton, for a better future. ← Do you want to donate your old laptops to support our community service -Kids2Kids Club?